Guacamole Kicked Up a Notch | What's Cooking at the Genua's? Yes I know I’ve already done guacamole. But I had three very ripe avocados in the fridge that I thought were history. I figured I’d better check them out before I tossed them. I cut them open and surprise! They were still ok! A few little blemishes here and there but otherwise fine and dandy! So I made guacamole. But as I was making it I had the idea to make it a little different. I looked around in the fridge and came across two ingredients I would never have thought to put in guacamole. Fat-free plain Greek yogurt and gorgonzola cheese! Weird? Not so much! I had about ½ cup of yogurt so I put it in my little food chopper and added a large handful of crumbled gorgonzola cheese. It was about 1/3 cup or so. I processed it till it was pretty creamy and added it to the guacamole. The color of the guacamole got a little lighter but I tasted it and it was good! I let it sit for a few more hours and it was even better! Who would have thought! We will be eating it for the next few days on everything! There is quite a lot of it. 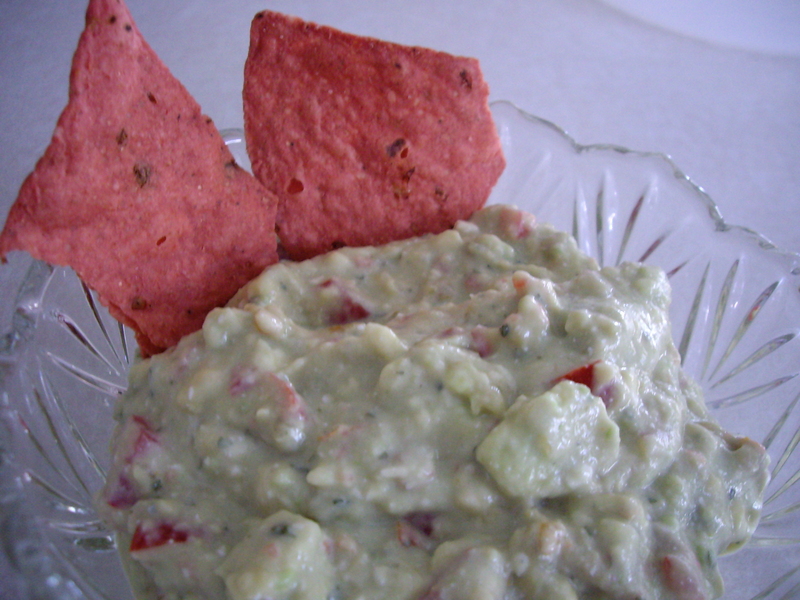 The guacamole recipe is from my recipe that I posted back in June. Just click on the link to get the recipe and just add the yogurt and gorgonzola cheese and you are set! I am sure it would probably be good with blue cheese as well! So as you can see today’s post does not have an exact recipe. Just click on over to my other one for the rest. Ooh what a fun twist! I love guacamole, and I love cheese. This is definitely one for me! It is really a great taste too! I have a huge bowl that I will just have to eat! Oh well!